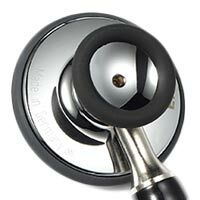 The new standard in physician and nursing stethoscopes. I am an EMT, and I can finally hear my patients on a moving ambulance!!!! 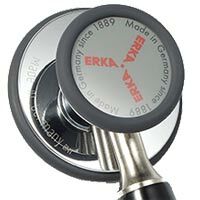 Everyone in my county loves my stethoscope and want to trade their Littmann's for Erka's! 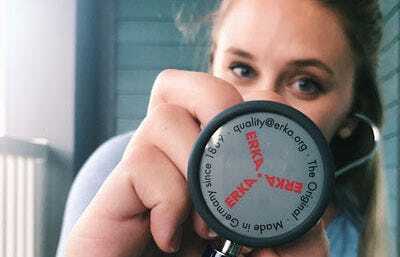 Is ERKA Stethoscope The New Golden Standard? "I’m a Respiratory therapist and use stethoscope around 20 to 50 times a day depending on the area and workload. 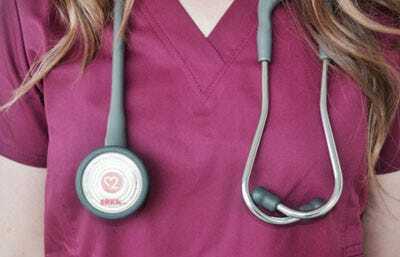 In most cases I use stethoscope to hear the lung sounds. Lung sounds usually are loud and pretty recognizable. I’ve tried a lot of different brands that my co-workers use, not too much difference, really. I got package when I got back home after my shift a bit tired. I opened the package and was surprised with how it felt and looked – beautiful and very sharp! I’m not flashy kind of guy, but it looks like a very cool tool on my neck, not just tube with shiny, silver things attached to it. I decided to give it a try right away and listened to the breath sounds of my kid! Nothing exciting there – clear healthy lung sounds. I got to work and took my new stethoscope! Quickly threw it around my neck, got my report and ran out to the floor. First patient had some diminished lung sounds and, boy, was I surprised that I could hear anything at all – TV in the room was loud and patient on the other bed was talking, but my new accessory apparently has unbelievable noise reduction qualities. I listened to Wheezes, Ronchi and Crackles all day. 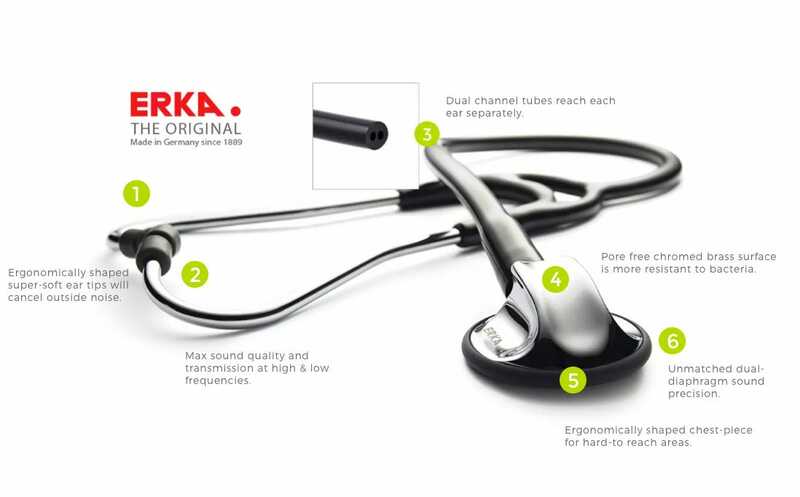 While sometimes there are slight problems in distinguishing these lung sounds, it was not the case with ERKA stethoscope. At the end of the day I remembered about small side of the tool and glancing at manual, saw something about cardio side. 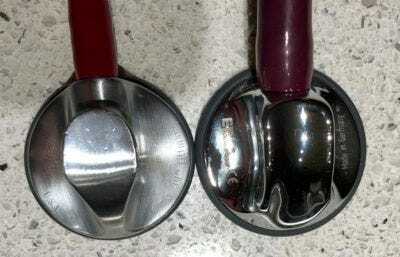 It looked more like neonatal stethoscope to me, so I flipped it and must have opened my mouth, because patient had a puzzled look on the face – I heard only heart, no lung sounds at all. Heart sounds were loud and clear. I have very little to do with listening to the heart sounds, so naturally I wanted to ask someone who does it on regular basis. I met cardiologist next day and could not miss my chance. 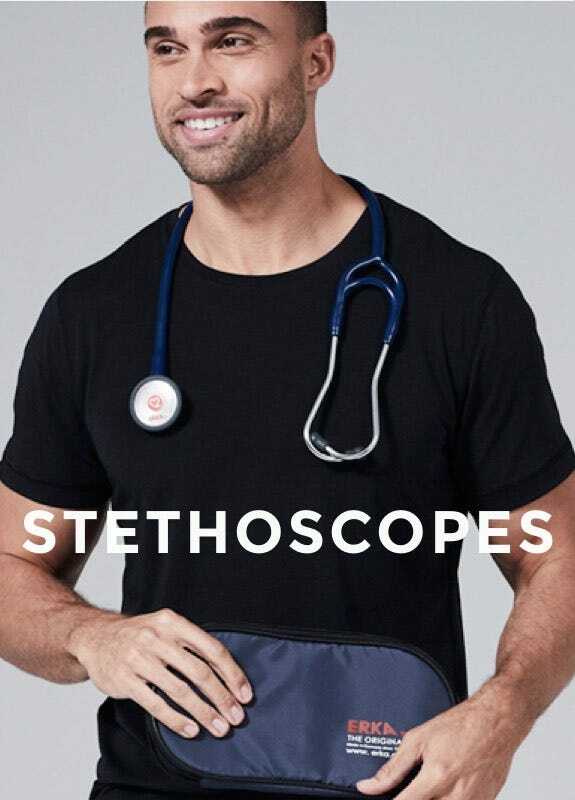 I’m not very shy, so I flat out introduced myself, asked whether he heard about ERKA stethoscope and gave him to try my new stethoscope. He too had very puzzled look on his face – he said that heart sounds were very clear and loud! 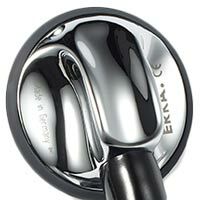 Even though he said that he prefers his old one, it was clear that he loved what he heard using ERKA stethoscope."